A refrigerator or colloquially fridge is a common household appliance. Refrigerators have been keeping food cold and edible for generations. However, if you do not know how to properly store your food, you are putting yourself at risk. Placing items in your refrigerator randomly will prevent them from staying fresh, costing you money and food in the long run. Always make sure your refrigerator is as clean as possible to prevent food contamination. Because refrigerators utilize circulating air to keep food fresh and edible, you should keep your refrigerator as cool as possible. One way to accomplish this goal is to limit the number of food items in the refrigerator. The more items you have inside, the less air will be able to circulate. If possible, do not place your refrigerator in direct sunlight. Never place your refrigerator next to heat producing appliances. The cooler the environment, the more efficient your refrigerator will be. Do not leave the refrigerator door open longer than necessary. For example, if you are pouring yourself a glass of juice, shut the refrigerator door while doing so. Make sure the door seals completely when closed to prevent cool air from escaping. The temperature within your refrigerator should never exceed 40 degrees Fahrenheit. 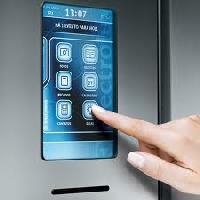 Place an appliance thermostat inside the refrigerator to monitor the refrigerators temperature. An appliance thermostat will be of great help in the event of a power outage. Once the power comes back on, check the thermostat to make sure the refrigerator returns to 40 degrees Fahrenheit. Food left inside the refrigerator for more than two hours at a temperature higher than 40 degrees Fahrenheit is not safe to consume due to bacterial contamination. Cleaning out your refrigerator on a regular basis will help keep the food inside fresh. When cleaning your refrigerator, make sure to use a clean sponge and warm water. Clean every shelf and drawer. Dry the surfaces in the refrigerator with a paper towel or cloth, and never use chemically driven cleaners inside. 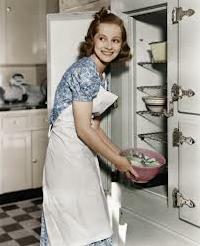 Chemically driven cleaners can have a negative effect on the taste of the food youre storing. Use a box of baking soda to eliminate lingering odors in the refrigerator, and replace this box every three months. Clean the front grill of the refrigerator to allow airflow to the condenser. Use a brush or vacuum to clean the condenser coils. Always unplug the refrigerator before cleaning the coils. If you purchase meats, poultry or fish, store them on the bottom shelf of the refrigerator to make sure they stay as fresh as possible. The bottom shelf of the refrigerator is the coldest part. You should only store certain items in the door of the refrigerator. These items include sodas, butter and condiments. Never place any perishable items in the refrigerator door, as this area is typically 7 degrees warmer than other areas. Place your refrigerator out of direct sunlight and away from heat source such as radiators and range of cooking appliances. 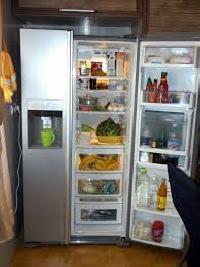 Refrigerators may be combined with freezers, either stacked with refrigerator or freezer above, below, or side by side. 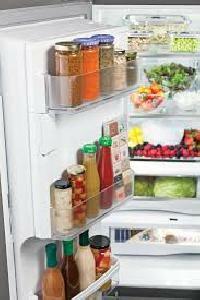 A refrigerator without a frozen food storage compartment may have a small section just to make ice cubes. 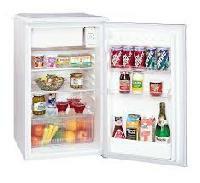 Freezers may have drawers to store food in, or they may have no divisions (chest freezers). Make sure there is proper electrical installation of the refrigerator, the power source should be earthed. Be sure to ground the refrigerator and do not use a 2 pin plug which does not have proper earthing, via an extension cable. Place refrigerator near the electrical outlet so that you do not have to use an extension cord. Do not splash water on the refrigerator, as it would cause an electric current leakage or malfunction of some electrical components. Bear this in mind when cleaning areas around your fridge. Compressor and Peltier refrigerators are powered by electricity. 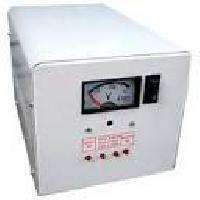 Absorption units can be designed to get power from any heat source. A noticeable difference between the two types is the absence of refrigerant with Peltier coolers (these use a different method of cooling). But Peltier coolers use more electricity because they are thermodynamically inefficient. Do not use flammable sprays such as lacquer and paint near the refrigerator as it could cause an explosion. Solar refrigerators and Thermal mass refrigerators are designed to reduce electrical consumption. Solar refrigerators have the added advantage that they do not use refrigerants that are harmful to the environment or flammable. Typical solar designs are absorption refrigerators that use ammonia as the working gas, and employ large mirrors to concentrate sufficient sunlight to reach the temperature required to free gaseous ammonia from the solvent. Most thermal mass refrigerators are designed to use electricity intermittently.